Believe it or not, no one under the age of 18-years-old is technically allowed to use Craigslist. That said, this is a provision we see in a wide range of terms of service, including things like Google. In other words, you can ignore this — but Craigslist isn’t responsible if some kid uses the site without parental consent. If you do post any of the above, Craigslist will take it down. And even if you don’t post any of the above, Craiglist reserves the right to remove or modify any posts it likes. You may post to any geographic location, but you are not allowed to post to multiple geographic locations at once. You may not post the same ad more than once every 48 hours, nor may you post the same ad in multiple sections. If you’re a posting in a professional capacity (e.g. you’re a car salesman posting ads for vehicles at your dealership), you may not post in the “by-owner” categories under the “For sale” sections. 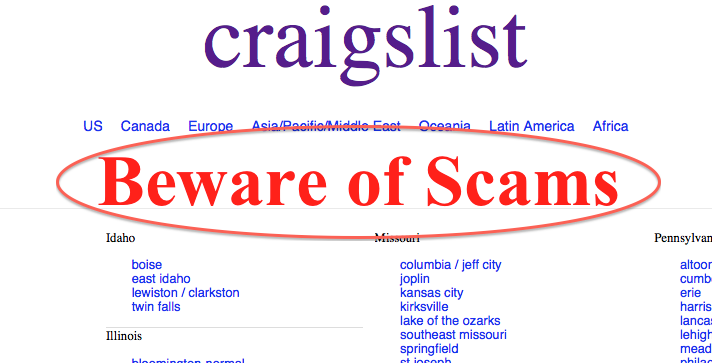 Anything you or anyone else does on Craigslist is not Craigslist’s responsibility. So if some jerk rips you off by selling you a broken washing machine, that’s your problem. However, if you do feel as though you’ve been scammed, click here to see what to do about it. This part doesn’t directly apply to most users. But it does affect the types of services we have available to us. Craigslist explicitly forbids anyone to “access craigslist or copy, display, distribute, perform or create derivative works from Craigslist webpages or other CL intellectual property.” And that’s why apartment-finding services like Padmapper were blocked from accessing housing posts on Craigslist. Fortunately for house hunters, Craigslist has begun to roll out its own maps, so the whole Padmapper thing isn’t really that much of a big deal anymore. To sum up: It doesn’t run any ads, install any cookies (or other Web tracking beacons), or share any of your information with any third parties. And it provides email anonymization to reduce spam or data harvesting. 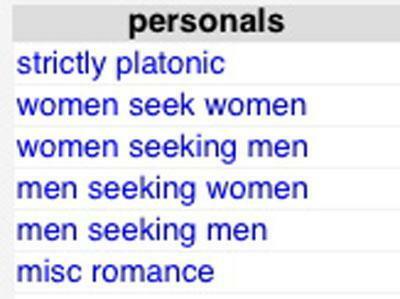 For most users, the only data Craigslist collects is your email address, and perhaps your phone number for account authentication purposes. It does collect additional information (names, phone and fax numbers, billing address) for job postings, which cost money. In these instances, it will charge a paying user’s credit card, but it does not store credit card information once the transaction is complete. The one area to be aware of is that Craigslist will not hesitate to share whatever little information it may have on you with law enforcement, if it believes such an action is necessary to protect itself, its users, or the public at large.